The European Council has picked Amsterdam to host the European Medicines Agency once it departs London as a consequence of the UK’s Brexit vote to leave the European Union. The Dutch city joined Milan and Copenhagen in going through to the second round of voting by EU foreign ministers. A third round run-off with Milan then resulted in a dead heat that was dramatically decided by the drawing of lots. EMA executive director Guido Rasi said: “Now that we finally know where our journey is taking us, we can take concrete actions for a successful move. The European pharma industry, while welcoming that a decision had been taken, said the focus must be on the agency’s transition. 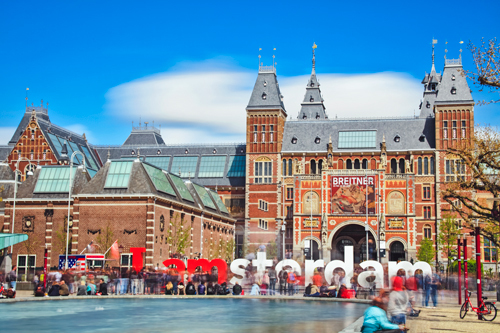 The vote on the EMA’s future location came one month later than originally planned and with the UK set to leave the EU on Friday 29 March, the regulator has just over 16 months to move to Amsterdam and begin operating there. The EMA has been preparing to immediately start working with its new host and said it plans to be up and running “by the end of March 2019”. As part of its plans to deal with the transition the EMA has set aside £32m for temporary staff to help it with the move from London. The agency is trying to attract people with scientific, regulatory, legal and policy expertise. Short-term staff losses and excess work are also expected to see it need additional administrative, accounting and audit resources in its London office. The selection of the EMA’s new home was based on a set of criteria that included the candidate cities’ accessibility, education provisions for the children of agency staff and job opportunities for staff spouses. However, the EMA said that from its perspective the single most pressing issue for both itself and its new host country would be preparing the agency’s new premises. To that end an EMA assessment said Amsterdam’s proposed relocation plan, with Dutch authorities offering additional procurement support, would meet its requirements and ensure the regulator would be operational in time. The EMA’s new base will be in the Vivaldi building in the Amsterdam Zuidas (‘South Axis’) district, which is close to Schiphol airport. A brand new building that will be tailored to EMA requirements, the move will see some temporary office space used until Vivaldi is fully open for business, with only conference facilities and some office floors expected to be ready by the first quarter of 2019. Amsterdam was reportedly the preferred location among EMA staff, with Politico placing the city top in the regulator’s retention survey. This saw 81% of employees say they would move with the EMA to the city, but even that performance could see a major recruitment drive needed. Rasi said Amsterdam “ticks many of our boxes”, but he acknowledged that even with a large majority of EMA indicating their willingness to relocate “our activities will be impacted and we need to plan for this now to avoid the creation of gaps in knowledge and expertise”. As part of this process the EMA and the Netherlands will set up a joint governance structure for the project and, from early next month, publish a monitoring chart online to track its progress.